Kidzania Manila, Here We Go! Oh yeah! This is my very first post for Kidzania Manila. My family was one of the many people who wanted to join the fun and excitement in this newest play city, where kids do big things. Since it opened a few months ago, we haven’t set foot yet because of our tight schedule. Now that we were able to manage the adjustment and schedule in school of my son, we will be preparing the exploration there. I got here Kidzania Manila ticket. Just in time! We are thankful to the sponsor who gave us courtesy pazz as our ticket for our Kidzania Manila adventure. 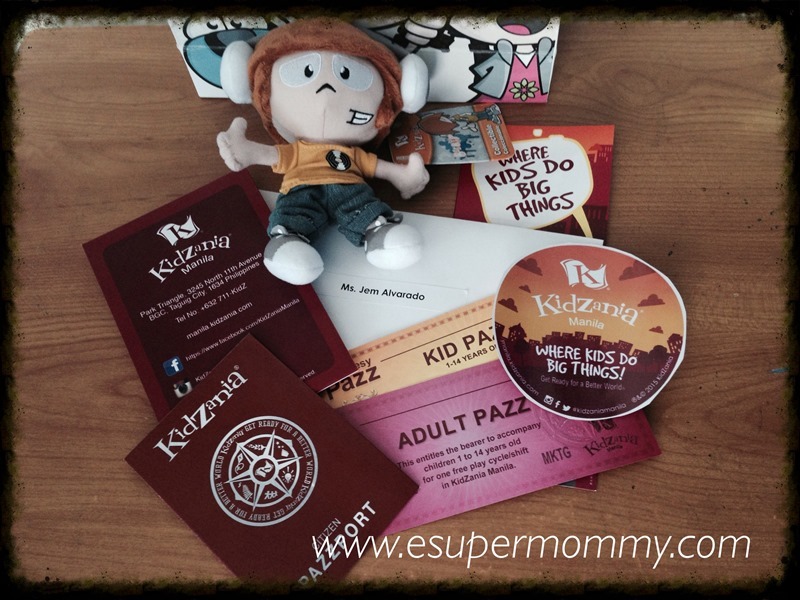 Along with the Kidzania courtesy pazz are the Kidzania pazzport, map, official guide, and the cute BeePop, one of Kidzania Manila Rightzkeepers collectible character. Kidzania Manila is the ultimate role-playing environment where kids get to live out their big dreams. KidZania is one of the fastest growing global educational entertainment brands, with facilities all over the globe from Mexico to Tokyo to London. We are glad that they opened Kidzania Manila in the Philippines as the 20th KidZania city in the world, and the first of its kind in the Philippines. Before heading to Kidzania, let us know first the address, operating hours, and the ticket prices. Operating Hours: Mondays -Thursdays at 9AM to 4PM / Fridays – Sundays at 9AM to 2PM; 3PM to 8PM. We are excited for the fun-sized city for kids! To make the most of our Kidzania Manila experience, we will be reading and following the official guide. That is from the bank to over 100 role-playing activities in 70 establishments in the city to the census plaques, employment office, university, pazzport office, National store, Pikz station, meet and greet with rightzkeepers all the way to the immigration office. Stay tuned to our adventure…. Really soon!